Microcurrent, often called the “Lunchtime Facelift” or “Non-surgical facelift”, is a popular technology for treating aging skin. It uses a low level of electrical current that mimics the body’s own level of electricity to trigger natural skin enhancement at a cellular level. Each of the cells in our body has electrical properties which diminish with age. Microcurrent treatments offer an effective tool to prevent and slow down the signs of aging. Medical practitioners use microcurrent to speed recovery after injury. It can also be used as a post-surgical healing treatment after plastic surgery to maintain the lift and treat blood stasis, scarring, and numbness. It is advised that you to consult with your plastic surgeon before beginning treatments. 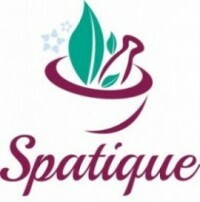 Skin Therapists at Spatique use microcurrent for its firming and toning benefits. The results of microcurrent are cumulative and continue to improve with subsequent treatments. Often called the “Lunchtime Facelift” or “Non-surgical facelift”, Microcurrent Technology utilizes electrical impulses to help increase ATP and collagen production. This enables the tightening and toning of the skin and muscles in the treatment area to provide a youthful and vigorous look. In the hands of a properly trained operator, the microcurrent can retrain the muscles beneath the skin eliminating dynamic expression lines and wrinkles while lifting and toning the skin. « Extra Pounds Weighing You Down?